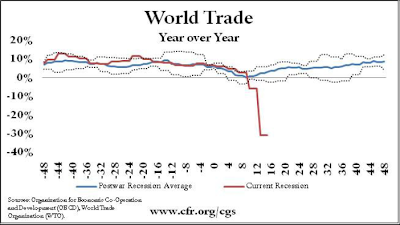 The world trade has come off the cliff. Of course this is not a fair comparison, given that globalization is a more recent phenomenon. 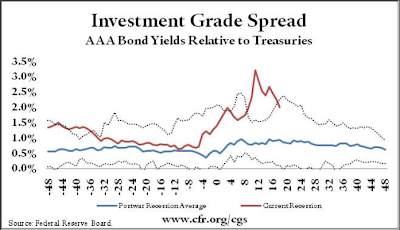 This chart shows just how severe the government spending vs. tax receipts has been relative to the Great Depression. 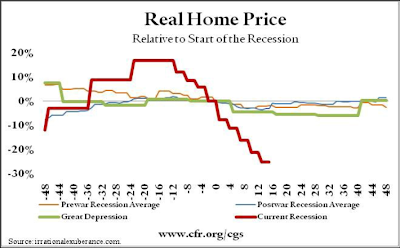 Supposedly the idea now is not to repeat the mistakes of the Great Depression and immediately push through the massive stimulus. But at what cost? 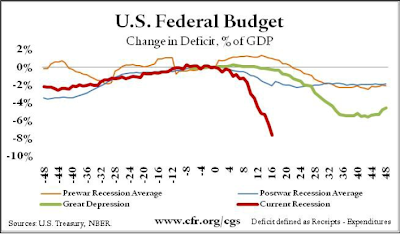 And what happens when the stimulus spending ends?